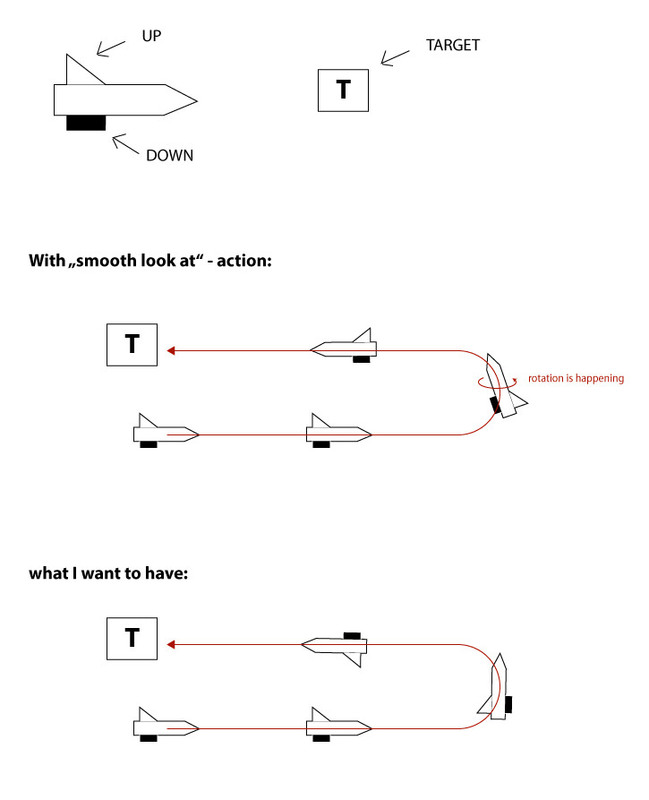 hey everyone, sorry for that topic name, I can't describe it better I want to create homing missile which follows a target and the missile-tip is constantly facing the target. ( 3D/VR game not 2d). I tried working with 2 actions, move towards and smooth look at but I get an undesirable side effect - the top of the rocket is rotating and my rocket can't fly "upside down". I have made a small illustration, to give you guys a better idea. any tips how to achieve this? Have you tried freezing the rotation of the rigidbody?